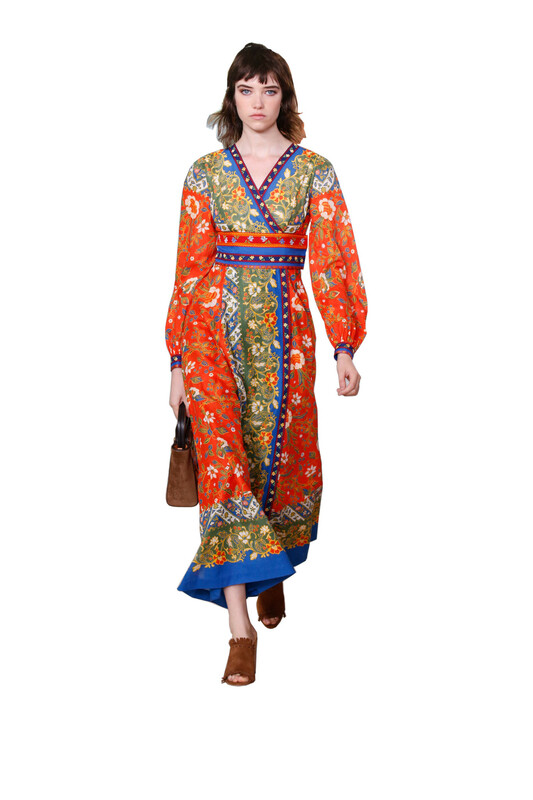 Today’s woman, no matter her heritage or locality, will naturally gravitate towards a Tory Burch look. It’s hard to pin point, but there’s everything you could want in her designs. Mesmeric prints (that can fix your gaze for long periods of time), sumptuous pearl embellishments, strong strokes of colour alongside playful piecing of fabrics and an overall element of positive Feng Shui. Every piece is well thought out and unique and makes you feel so good. For Spring/Summer 2017, it’s about creating style synergy between the U. S’s East Coast and West Coast. “We begin out East, hostess chic to cool prep. From there, we continue to the free-spirited beach towns of the West Coast. 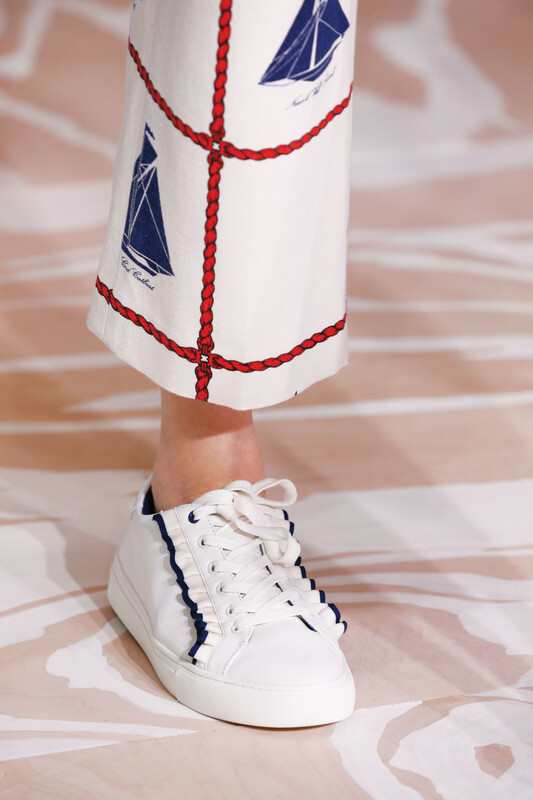 It’s about contrast: graphic motifs and engineered prints, rope and rickrack, pearls and macramé, mules and moccasins, structured and bohemian ease. 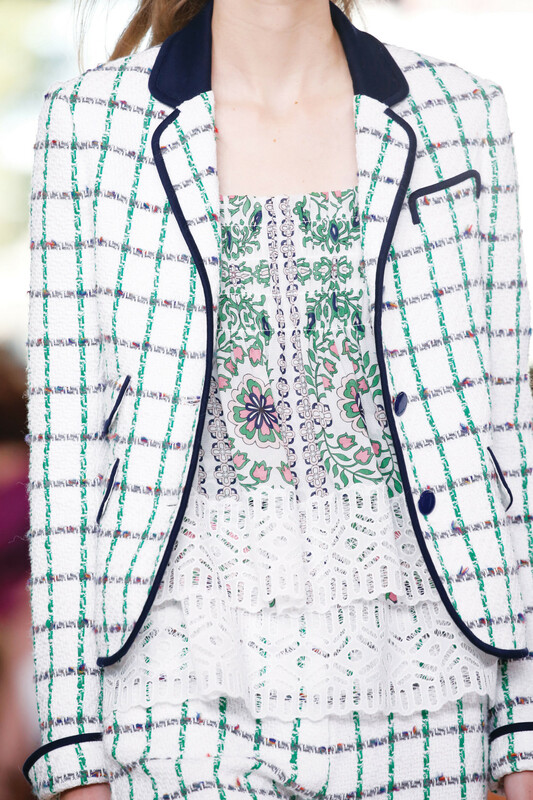 It’s relaxed and effortless…quintessential American style,” says Tory. When it comes to the silhouettes, it’s about structured tailoring. Think empire waists, widelegged sailor pants and tomboy blazers, which soften as the collection moves West with breezy dresses, peasant blouses and board shorts. 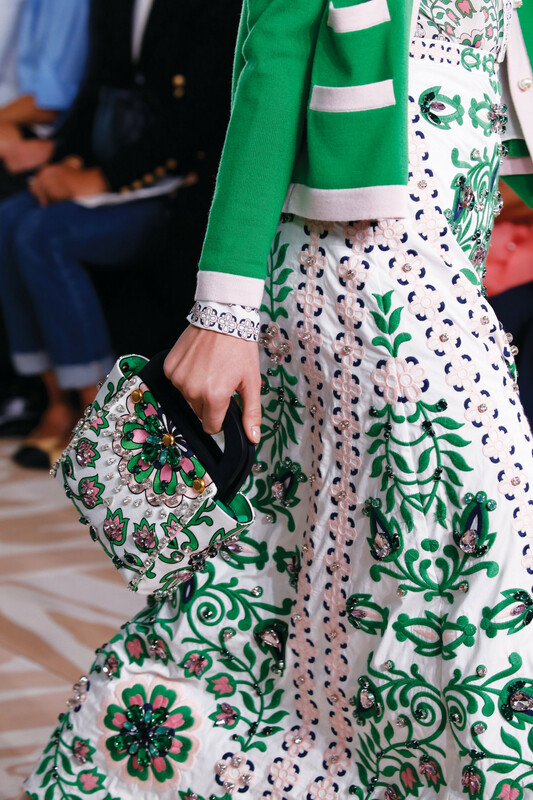 You can expect to see voluminous hostess skirts with sweeping hemlines that are paired with crop tops that play on proportion while tunics and caftans round out the collection, putting the emphasis on effortless style. As for the colour palette, it’s all about orchid, pink and green, a classic preppy pairing, where ocean blues and bold reds give way to sunwashed oranges, yellows and periwinkle blues, balanced by soft neutrals of white, ivory and sand. And with this palette comes graphic a graphic garden motif, regatta stripes and nautical prints, followed by bohemian batiks and patchwork florals. 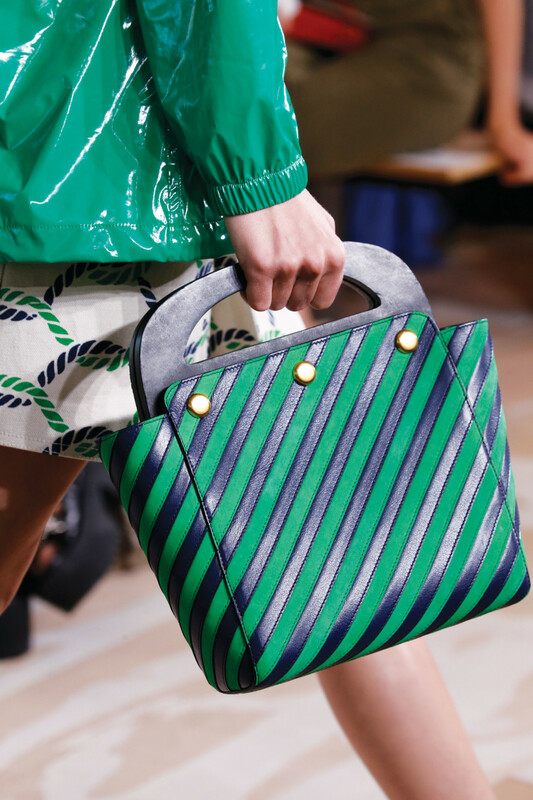 A placed wave print subtly references the surf scene and establishes a maritime symbol. The season’s coastal contrast carries through to a mix of fabrics —from linen burlap and cotton knits to silk shantung and delicate fil coupe—and embellishments. Appliqued patches, rickrack. and pearl details provide dimension while fringed macramé and criss-cross lacing lend an easy, undone vibe. Metallic threadwork and moonstones add shimmer and shine. Topping and finishing off every look, you’ll find that the relaxed, effortless mood extends down to the accessories, from mules and moccasins to pearl-embellished slides and ruffled sneakers from Tory Sport. A convertible handbag with wooden handles brings nostalgic appeal while jewellery draws inspiration from the sea with articulated fish collars and cuffs and cowrie shell charms.